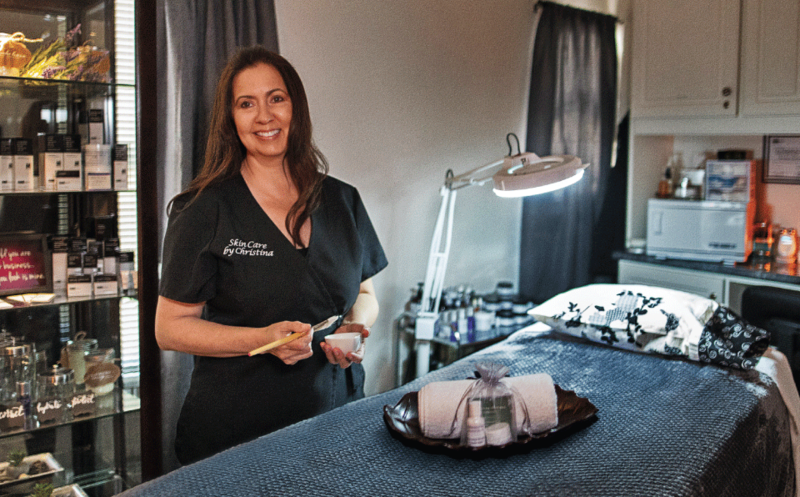 Christina Martinez offers a variety of services at her skin-care studio, including clinical treatments, facials, body peels and anti-aging regimens. Her clients praise her expertise and attentive manner. Since childhood, skin care has fascinated Christina Martinez. Martinez has come a long way since pampering her childhood playthings. The soft-spoken esthetician—a licensed skin-care specialist—recently opened her own studio in Old Towne, and she’s receiving glowing reviews. Before opening the Orange studio, Martinez owned skin-care studios in Hermosa Beach and Long Beach. She offers a variety of services, including clinical treatments, face and body peels, and anti-aging and skin-firming regimens. Sun damage, she notes, causes most skin-related problems—everything from sun spots to cancer. Her treatment had a dramatic effect for Soliz. “Today, I have confidence in myself and I’m not worried about all the acne that used to be on my face,” says the 36-year-old, adding that he’s more relaxed in social situations. 369 South Glassell St. 714-450-2878.